Our childhood provides us with memories which influence our imagination throughout our lives. At the Bath Children’s Literature Festival on Saturday 4th October Alison Waller talks to Skellig author David Almond about Half A Creature From the Sea, inspired by his childhood in the north-east of England. They are joined by award-winning German author Nadia Budde, who vividly recalls growing up in the GDR in her illustrated children’s book. The event will take place at The Guildhall Hall, High Street, Bath, at 8pm and tickets are still available through the festival website. The University of Roehampton is opening its children’s literature archives to the public, with an exclusive tour followed by talks by Professor Peter Hunt and Dr Jane McVeigh on The Secret Garden and Just William. Dr Alison Waller will report on her research project, ‘Rereading Childhood Books’, and there will be an introduction to the Just William Society. This event is free, but you will need to book your place by emailing Julia Noyce: Julia.noyce@roehampton.ac.uk. In your email, please state if you would like to join the tour of the Children’s Literature Archive (places will be allocated on a first-come-first-serve basis). Please also name a significant childhood book that you remember reading as a boy or girl. IBBY/NCRCL Conference 2014 Booking Now Open! We are excited to announce that Dr Gillian Lathey, Honorary Senior Research Fellow in Children’s Literature at the University of Roehampton, will chair the panel on children’s literature in translation at the ‘Children’s Translation: Reaching out to Schools‘ event on Tuesday 21 October 2014. This is a joint event between the English‐Speaking Union and the Society of Authors at Dartmouth House, London, and the panel will discuss children’s literature in translation and multi-lingual projects that can be used in schools to develop a love of languages and reading translated books. Panelists will include Dylan Calder (Pop Up), Sam Holmes and Robina Pelham Burn (Translation Nation, Translators in Schools), and Alexandra Strick (Outside in World). Following the discussion, the ESU will announce the shortlist for the 2015 Marsh Award for Children’s Literature in Translation and afternoon tea will be served. Tickets can be reserved on ESU’s Children’s Literature: Reaching out to Schools event page. From the ESU website: The Marsh Award for Children’s Literature in Translation, awarded biennially since 1996, was founded to celebrate the best translation of a children’s book from a foreign language into English and published in the UK. It aims to spotlight the high quality and diversity of translated fiction for young readers. The Award is administered by the ESU on behalf of the Marsh Christian Trust. The 2013 Winner of The Marsh Award for Children’s Literature in Translation was Howard Curtis for his translation from the original Italian of Fabio Geda’s In the Sea there are Crocodiles. Dr Alison Waller will be presenting her research on rereading at two international conferences this September. 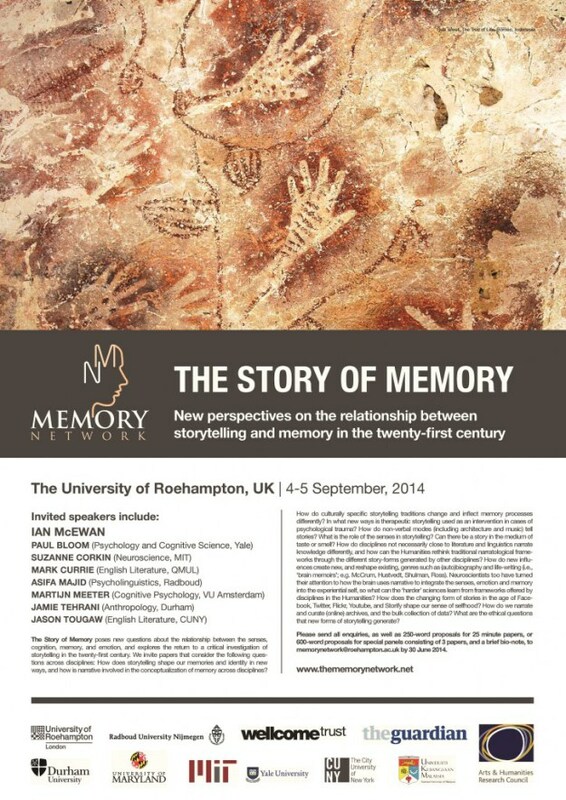 Alison will talk about the relationship between memory and reading at the University of Roehampton’s Memory Network Conference, The Story of Memory, over the 4th-5th September 2014. The Story of Memory Conference: Exploring New Perspectives on the Relationship between Storytelling and Memory in the Twenty-First Century ‘seeks to pose new questions about the relationship between the senses, cognition, memory, and emotion, and to reinvigorate the debate about the return to a critical investigation of story telling in the twenty-first century’. At the Canon Constitution and Canon Change in Children’s Literature Conference at the University of Tubingen, Germany, over 11th-13th September 2014, she will talk about how men have remembered and reread Frances Hodgson Burnett’s The Secret Garden and what their memories might tell us about gender and canonicity. Her paper is titled ‘Remembering, rereading, and reviewing the canon: The case of The Secret Garden and forgotten fiction’. These talks are part of a project been funded by the British Academy and Leverhulme Trust, and is part of Alison’s ongoing research investigating the practices and processes of rereading, memory and emotion. Alison has been a staff member of NCRCL since 2007 and more information about Alison’s work is available on the University of Roehampton website. You can also follow her on Twitter. 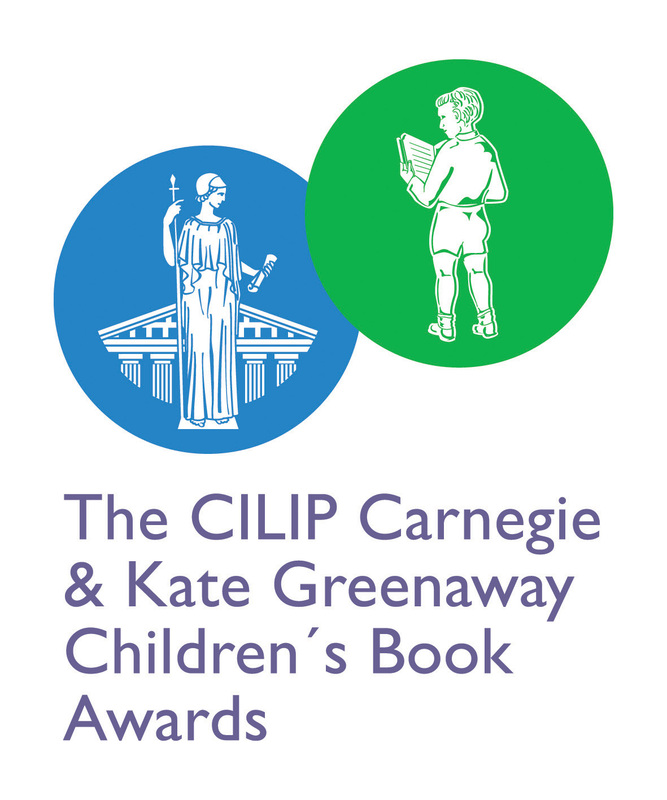 The Roehampton Readers participated in the CILIP Carnegie & Kate Greenway Children’s Book Awards as a shadowing group. Meeting at Roehampton University to discuss the books, their reviews were then posted to the shadowing site itself. Over this summer, we are sharing a selection of the reviews with you as part of the ongoing activity here at NCRCL. The Roehampton Readers group was coordinated by NCRCL PhD student, Kay Waddilove. 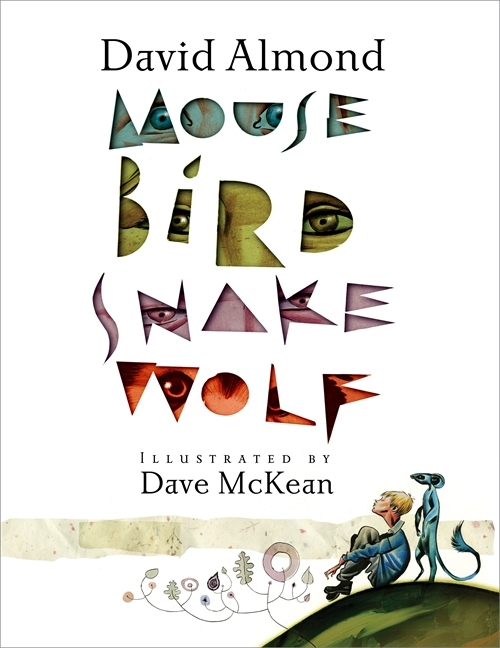 This book is by David Almond and is illustrated by Dave McKean. It adopts a comic style approach in its pictures and layout, though not in its text which is written in a traditional manner rather than in speech bubbles. The story appears to have many layers of meaning. The imagery suggests a modern version of the story of creation and fall, with the children in the story being creators whilst the gods lie back and sip their tea! The book raises some profound religious and philosophical issues such as the inevitability of the fall. On a simple level there is the message that human beings will create both good and bad things just because it is possible to create them. On a deeper level, there are ethical questions as to how much it is possible to regulate both nature and our own creation. Issues of free will and determinism are introduced. The children make creatures by their own efforts and the youngest child frees them of a troublesome creature by his own actions, rather than the gods acting on the children’s behalf. Forces of good and evil are explored with aspects of both good and bad in creation being incorporated into the children’s own minds. The children come to accept the snarling of the wolf as being inside them as well as outside so that creation goes on inside them as well as in the wider world. The dualism of children and gods can also be taken on different levels. The power of the children in creation could represent human beings in contrast to an impotent God. Alternatively, this could be read as a carnivalesque text, with the gods representing adults; the power structures are subverted so that the children gain the upper hand and take the active part in creation. The gods “wake up” in the end and pretend that it was their idea to create the mouse and the bird and eventually the wolf…. This story provides plenty to think about. The pictures in the story are as dense and busy as are the layers of meaning. There are many images on each page, some of them overlapping. This could reduce its appeal to children, who could be deterred from reading this book due to its busyness visually and the multiplicity of messages which it contains. It is difficult to gauge the age group of its intended readership. The use of natural objects to make the creatures in the story is redolent of young children’s play, but the ideas and concepts in the story are complex. Possibly, it would lend itself to discussion in a group of older children or students. This book is written and illustrated by Jon Klassen. It is predominantly visual with no written text at all on some pages. It is the story of a little fish who steals a hat from a big fish and explains why he thinks he has got away with it. He tries to escape from the big fish into the area where the plants are thickest and he hopes he will not be seen. In this book the humour lies in the mismatch between the written text and the pictures. When the little fish approaches his escape route, he announces “And look! I made it! I knew I was going to make it. Nobody will ever find me.” We are left with these as the last words in the book, but the pictures tell a different story. From the pictures it can be inferred that the little fish has been eaten by the big fish, as the big fish is now wearing the hat and the little fish is no-where to be seen! It may not be obvious on first reading what has happened to the fish, but the nature of a picture book is such that the book will probably be read many times over, new meanings becoming apparent each time. The pictures in this book are particularly effective, with the expressions on the face of the big fish contributing hugely to the story. 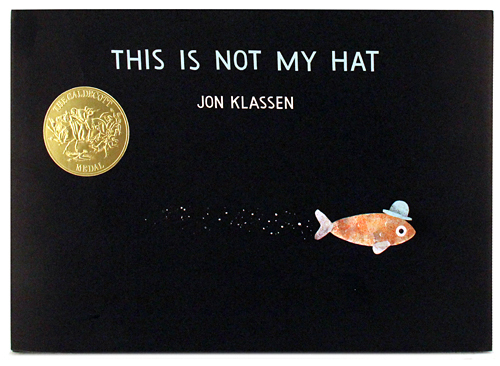 This is the second book that Jon Klassen has written on this theme. Whilst both stories are clever and enjoyable, for me the first one “I want my hat back” is the most humorous and therefore the most effective. 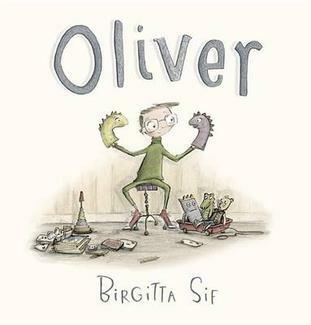 This is a book by Icelandic author/ illustrator Birgitta Sif. It is the story of a boy who is “a bit different”. He plays on his own rather than with other children and appears to be happy this way. He is uncomfortable in social situations, for example the scene where he is under the table at a formal tea-party. One day he wanders away from home and finds a house where he meets a girl who is “also a bit different” and who becomes his playmate. This could be read as a maturation story with Oliver moving from the place of individual play to that with his peer group. In the scene where Oliver plays the piano, his toys are no longer listening. He is ready for interaction with other children; solitary play no longer satisfies him. He gains a playmate because he is developmentally ready. The difficulty with this interpretation, however, is that it is hard to see in this case why Oliver would be described as “different”. The story would be describing a natural process rather than an issue of difference. Another possibility is that Oliver is autistic; this seems unlikely as his play appears to be too imaginatively rich for this to be convincing. Most likely Oliver’s “difference” lies in his isolation. The pictures show others, both adults and children in paired groupings. Oliver remains apart until at last he finds a soulmate in Olivia. The pictures work effectively to support their coming together. They move from each one being depicted separately, to a double page spread with the two of them playing ball together, but each having their own page. Finally, they are on a single page together. However, I am not sure that for me a child’s preference for his own company is sufficient to warrant the use of the adjective “different”. 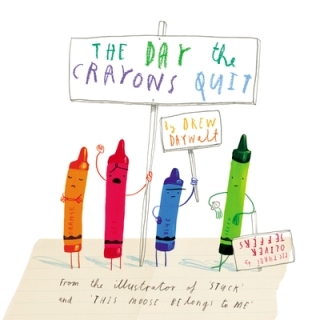 This book is by Drew Daywalt and is illustrated by Oliver Jeffers. It describes the discovery by a little boy called Duncan, that his crayons have written a stack of letters airing their grievances with him. It ends with his action in addressing their issues and resolving them. The idea is a clever one; the personification of children’s toys is a common theme in children’s literature, but the personification of a child’s crayons is a novel idea and one which could have considerable appeal to children. All the crayons have complaints. Duncan is told that red crayon “has to work harder than any of your other crayons”. Grey crayon says “You’re killing me!” after colouring so many large animals. Pink crayon complains of under use. There is much humour in the story, such as when peach crayon is reluctant to come out of the box as his wrapper has been stripped away and he is naked! The realism in the pictures of the letters adds to the appeal of this book and the layout of the story is effective with the letters on the lefthand pages and the crayons and the pictures they have made, on the right. The story of twelve crayons unfolds; this is the major part of the book and is in my opinion by far its strongest part. The resolution at the end comes abruptly and without any build up. Duncan uses all the crayons to make a bright, new picture, for which he gains both sticker and star as a reward from his teacher. A more considered ending could have allowed children to air their own views as to how Duncan could restore his crayons to happiness. Moreover, sticker and star appear to do little to enhance the overall message; arguably creativity is its own reward. However, these issues did not appear to detract from the enjoyment of the children in a Year R/1 class to whom I read this story. Amongst this year’s Greenaway nominations suitable for very young children, they voted overwhelmingly for this book. 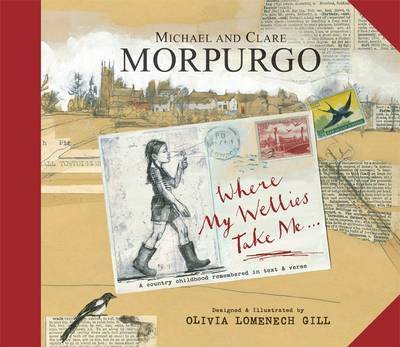 This is the first book written by Michael Morpurgo, together with his wife Clare. It is effectively a reminiscence of their childhoods, particularly Clare’s in rural Devon. It portrays a time in which children had the freedom to roam unfettered in the countryside and explore nature in a way that is largely lost to today’s children. In this book, the Morpugos express their nostalgia for past times, but they also use the book as a means for more children to experience nature firsthand; the royalties from their book are going to support their charity Farms for City Children. The book features Pippa who walks through the lanes and fields of her Devonshire village discovering local wildlife and inhabitants and engaging with both in an observant manner. A poetry anthology is incorporated into the story, the poems largely being those remembered from the Morpurgos’ own childhoods. The book is beautifully illustrated by Olivia Lomenech Gill and includes detailed observational drawings from nature as well as landscape paintings. The use of transparent paper on some of the pages has the effect of cementing the relationship between the poetry and the nature which is its subject. I am not sure, however, that this book will have much appeal to the modern child. Rather, it appears to be a book written primarily for the Morpugos themselves. 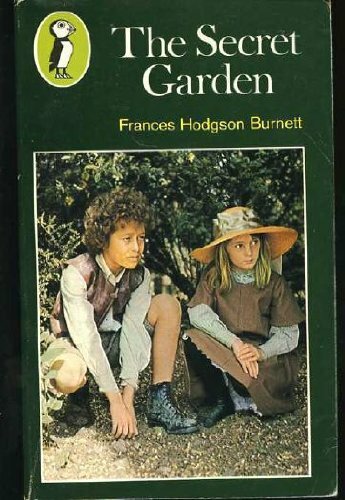 It is possible that pleasure could be found by a child reading this book together with an adult possessed with a love of both nature and poetry. It could be the sort of book that grandparents keep on the shelf and which can be dipped into on special occasions; certainly many grandparents would enjoy the pictures, the nostalgia and the poetry from past times which characterise this beautifully produced book. This story is written by Julia Donaldson and illustrated by Rebecca Cobb. It is about a little girl and her mother, who makes her a string of dolls. The child plays with the dolls until she takes them out into the garden where they are snipped into little pieces by a passing boy! Despite the simplicity of the story line, there is a lot of depth in this book. 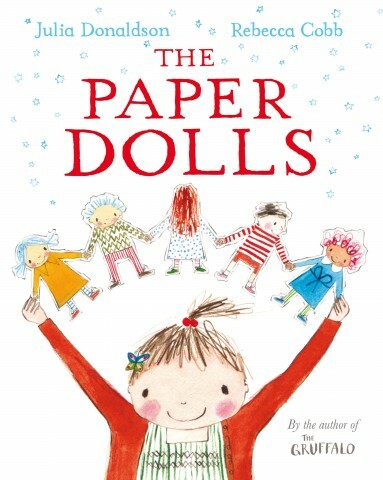 The dolls come together in the child’s memory together with “white mice and fireworks”, “a kind granny” and “more and more lovely things each day and each year”…..until the little girl grows up and makes paper dolls for her own daughter. This story deals with the power of memory as a means of shaping our sense of identity by giving us continuity with the past. The scenes in which the little girl plays with the dolls are illustrated in a way that would be easy for a child to relate to, but an interesting and innovative part of the book is that the child’s mother is depicted as being actively involved with the play. Usually in children’s books, play is portrayed without adult involvement, but in the scene with the crocodile in this story, the mother joins in with and develops the play. This story could be used with very young children to support history teaching. It depicts the passing down of skills from one generation to another and could be used to help children to consider their own memories of the past, both individual and shared, as children and adults read together. 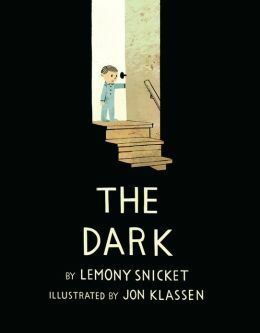 This story is by Lemony Snicket and illustrated by Jon Klassen. At its opening, the little boy Laslo is afraid of the dark. He lives in a house which is a “big place with a creaky roof, smooth, cold windows and several flights of stairs”. The dark is personified and lurks in various places which Laslo is afraid to enter. The dark speaks to him and asks him to come closer, leading him eventually to the basement, where he comes into contact with its full strength. Effectively, the dark becomes his friend and he is therefore able to live with it without fear. The pictures are fundamental to this message, with much black being used on the pages, the written text standing out in white. A limited colour palate enhances the effect with sepia colours being used to produce the impression of scenes illuminated by torchlight. The personification of the dark is dealt with in an original manner and in a way which could help to allay a child’s fears through discussion. Further explanation by the author therefore appears unnecessary. I would question the effectiveness of the passage beginning “without a creaky roof, the rain would fall on your bed” and continuing to “and without the dark, everything would be light, and you would never know if you needed a lightbulb”. This page is somewhat jarring in both literary and visual terms. Given that picture books are likely to be read by adults and children together, its omission could provide space for children to talk about their own particular fears of the dark. In other respects however, pictures and words work together in this story to create a convincing and atmospheric narrative.